Our buses are full of passengers from all over the world. We’ve had many travellers from Canada, Australia, UK, Holland, Germany, USA, South Korea, Brazil, Japan and even Belize! Travelling through Bolivia can be stressful and tiresome due to them making it VERY difficult for tourists from certain countries to enter (see Visa Requirements). That’s why so many travellers prefer to hop-on with us because they know we will always get them across the border safely and securely. The average age of our passengers is between 25-35 years old, however, we do get a great mixture of old and young passengers looking for adventure. There are no age restrictions to see the incredible Lake Titicaca, experience Machu Picchu or explore Salar de Uyuni (The Salt Flats). Bolivia Hop is open to everyone. Our hop-on/hop-off bus is absolutely perfect for backpackers because of the flexible nature of our passes. Backpackers hate fixed itineraries and being told what to do; travelling with Bolivia Hop gives travellers the ability to decide where they stay, how long they stay, where they eat, and what they do. In addition, our exclusive discounts on Salt Flat tours, Machu Picchu, and the Death Road in La Paz means that Bolivia Hop can help the backpacker budget stretch even further! 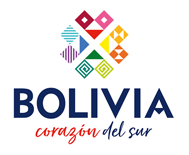 We get a lot of solo travellers (especially female) on our buses who appreciate the level of safety Bolivia Hop offers, which simply cannot be matched by any other company. With us there are no unsafe taxis, dangerous bus stations, or communication issues with the immigration officials at the border. Furthermore, our buses are a great way to meet other people. We often have people who start their travels alone, meet other travellers on the bus, and then continue their travels together. At every destination, Bolivia Hop has incredible discounts on private rooms at hostels and hotels. Normally agencies get commission from the hotels and hostels, but we reject this commission and instead use it as a discount for you, the passenger. This means you to get the best rooms at the best prices... Just another benefit of hopping with us! Moving around families of 4 or 5 (or bigger!) is obviously quite stressful, especially in a non-English speaking country. The families that have traveled with Bolivia Hop have all loved our guides' help and assistance. Bolivia Hop takes all the stress away so families can have a safe and comfortable vacation. As you can see, Bolivia Hop is the perfect way to travel between Peru and Bolivia - open to all ages and all budgets. Remember, you can stay wherever you want and how long you want, it all just depends on your personal budget and time constraints. We simply assist and advise with everything you need to ensure a safe and stress-free trip!